Celebrity doula, pregnancy, women's wellness and empowerment coach Lori Bregman brings a holistic guide to being a more balanced, authentic, and joyful mother. Introducing the "five expressions of motherhood"—Action Mama, Flow Mama, Rebel Mama, Vulnerable Mama, and Free Mama—Lori offers supportive advice, exercises, meditations, and yoga practices to cultivate a healthy balanced life and stronger bonds. Accessible and encouraging, Mamaste provides foundational tools for parenting, relatable examples, and exercises to build self-awareness and mindfulness. Guiding new mothers along a journey of self-discovery, these practices ultimately lead to a more enriching and contented experience for both mother and child. 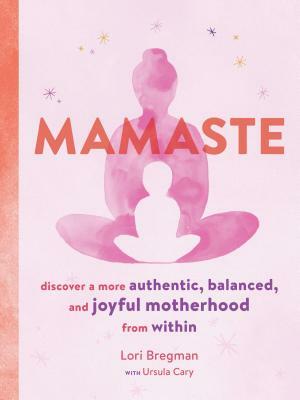 Packaged in an inviting paperback and filled with nurturing advice, Mamaste is essential for any expecting or new parent. Lori Bregman is a Los Angeles–based doula and healer, and the founder of the Rooted for Life Pregnancy Coaching Program. She has worked with many high-profile celebrities, including Kristen Bell and Anne Hathaway. Ursula Cary is a writer and editor with 15 years of publishing experience, and the mostly Action/Flow Mama of an energetic toddler and a senior rescue dog. She lives with her family in Connecticut.